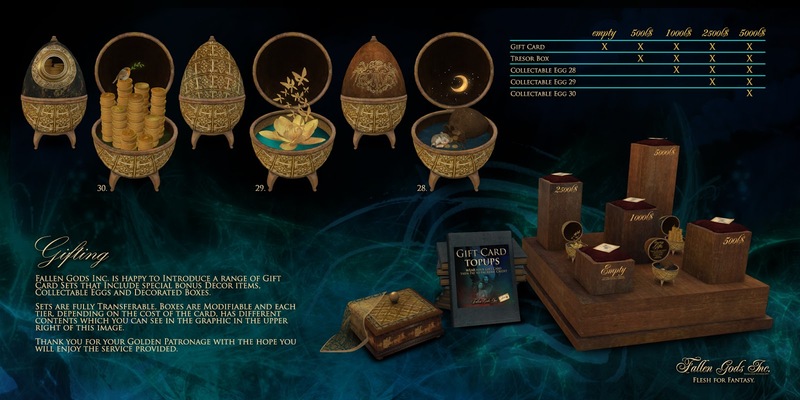 Fallen Gods Inc. is happy to Introduce a range of Gift Card Sets that Include special bonus Decor items, Collectable Eggs and Decorated Boxes. Sets are fully Transferable, Boxes are Modifiable and each tier, depending on the cost of the card, has different contents which you can see in the graphic in the upper right of this image. 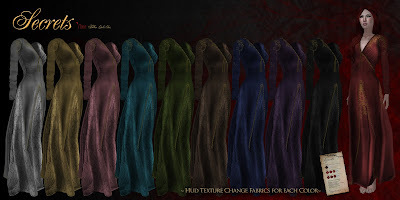 In addition to the Gifting System the Help and FAQ Page has been consistently updated and will be maintained on the website instead of inworld notecards due to easier management and updating. A Quick link to the page is here: http://tinyurl.com/fgi-hlp or on the right menu of the website. 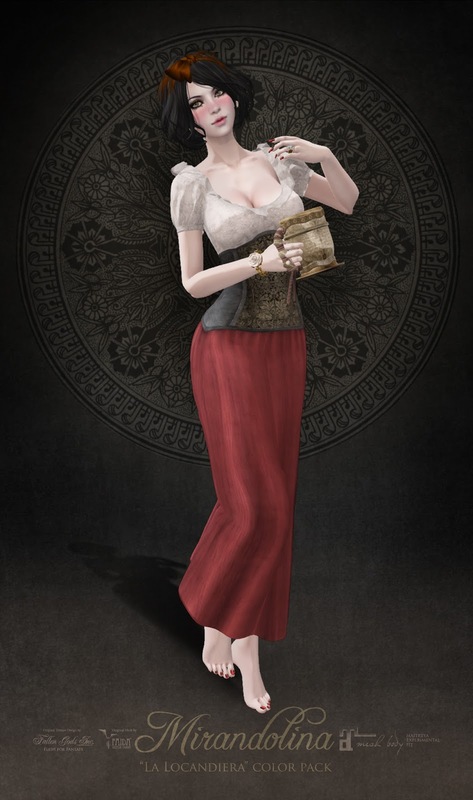 It can also be reached from two Info books at the Temple Entrance and at the main info board. In addition to that I finally proposed to Sonya and she is now officially my Customer Care, CSV, Assistant and Helper, so for any assistance concerning my creations & event invites she will be the one to contact. 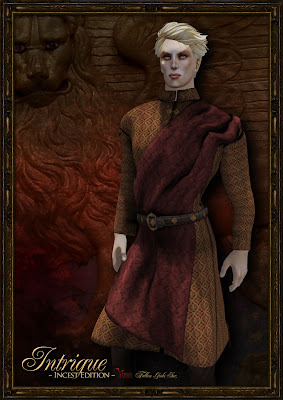 Since she just started those first months will be slower and I will be involved in giving her feedback but I count in the future to completely delegate that part to her. The reasons why I again hired help, as I had Elizabeth in the past, are a few: mainly the time consuming hours every day to assist customers, that slow consistently my creation pace and peace, in addition to the fact that I tend to travel a lot so having someone that can promptly help customers in timely fashion inworld while I am lost in some kind of forest or sea, it's important to me. I wish to help and make my customers satisfied, if you are happy with my creations I am happy to create; focus disruption though is a killer for my productiviy and overall enjoyment in creating in Second Life, this is why I hired a Bunny so I can have more tranquillity at work. Nekromantika Version 2 now includes also Omega head appliers, but what about the old customers? For a limited time you can buy your omega head applier only, in copy permissions, all of that at the 7th Anniversary of the 30L Events! For the Celebration that lasts only two days the price pull is lowered to 30L instead of 50L. Hope you enjoy! 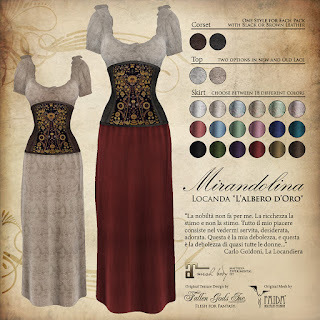 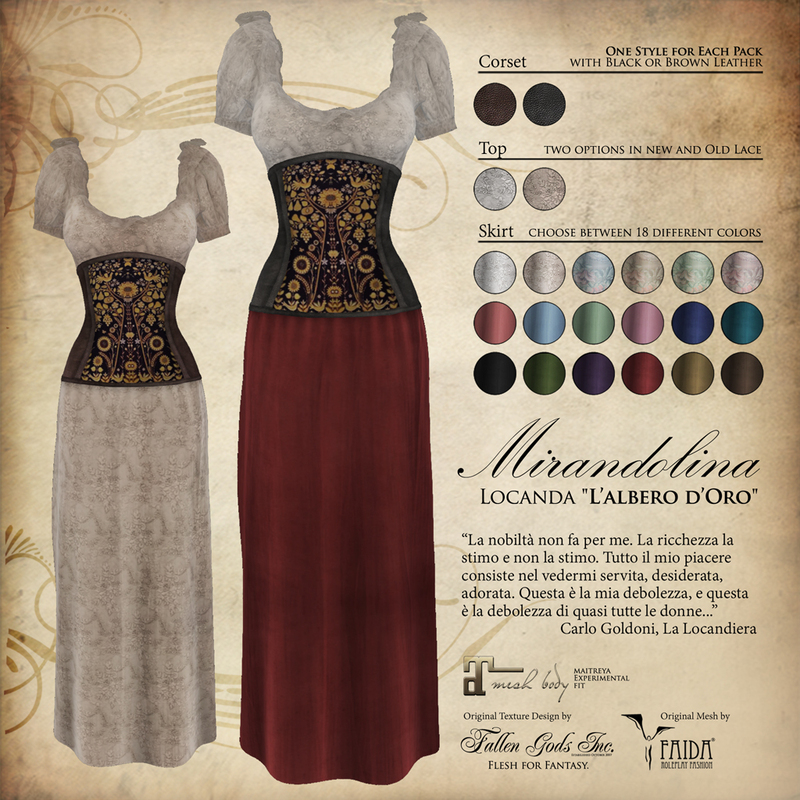 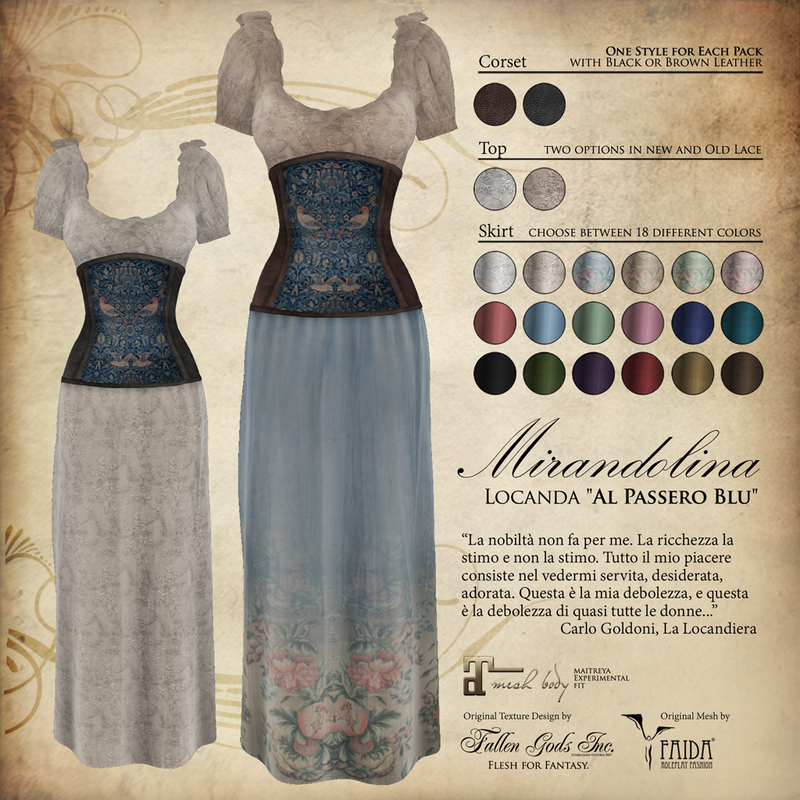 A new collaboration with Faida for "We Love Roleplay": Mirandolina is a Tavern themed dress series, in 8 different "Tavern" corsets each that comes with new and old lace for the top and up to 18 gown colors. Ale not included. Also be sure to check the new Totally Top Shelf Retro Gacha!